"It's Always Something...": What's Civility Got To Do With It? What's Civility Got To Do With It? "Always say please and thank you". "Let kindness be your guide". 'Beauty is only skin deep". 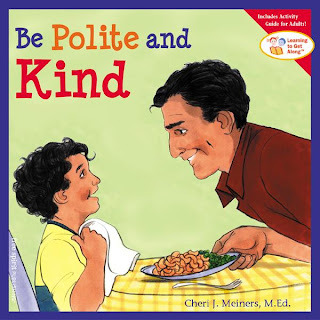 These are just a few of the lessons in civility that my Mom drilled into me throughout my childhood. As a young adult it surprised and occasionally would hurt my feelings when I learned that others would mistake my 'niceness' for phoniness and/or stupidity. I got over it. "Civility is not a tactic or a sentiment. It is the determined choice of trust over cynicism, of community over chaos. And this commitment, if we keep it, is a way to shared accomplishment." Love that. Civility. A determined choice. Writing this post about civility, my conscience tells me that it's time to come clean. Let the truth be known that I have an evil twin, an alter-ego who I refer to as "Joanne". She has been known to be a little impatient at times and occasionally will speak with a sharp tongue. The good news is that she responds well to chocolate or a cocktail. Either will work. Fortunately, she bares her fangs only very rarely. "Joan", on the other hand prefers being nice. It just feels better. I've met Joanne, but I'm soooooooo happy that Joan is my sister.